Samuel Foster was travelling along the A82 on Sunday when the horror crash occurred. The family of a teenager killed after his car burst into flames in a horror Highland crash have paid tribute to their “happy-go-lucky boy” – who is understood to have swerved into an oncoming car to avoid deer. 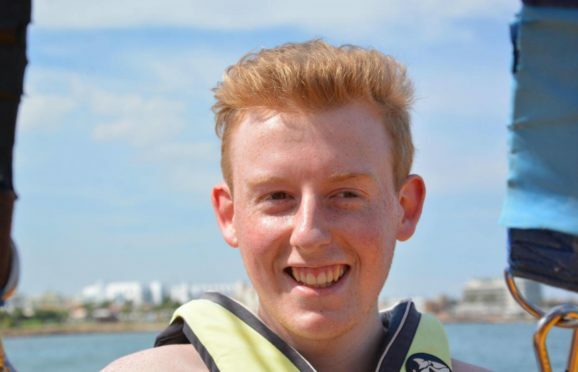 Samuel Foster, 18, a former pupil of Millburn Academy in Inverness, was travelling west on the A82 near Dochgarroch shortly around 10pm on Sunday night when the tragic collision occurred. His blue Renault Clio was in collision with a silver Ford Galaxy between Inverness and Drumnadrochit before bursting into a blazing ball of fire. It is believed the crash occurred after two deer jumped in front of the teenager’s car, causing him to swerve. The driver of the Ford Galaxy escaped with minor injuries. In a statement released by his devastated family yesterday they said they would always remember their “darling boy” as having “a smile on his face”. They said: “Samuel, our darling boy, was incredibly popular and had a huge circle of friends. The popular teenager from the Lochend area near Inverness was in the throes of studying engineering at Inverness College UHI when his life was cut short. Staff at the city campus yesterday paid tribute to the dedicated student. A spokeswoman for Inverness College UHI said: “Samuel was a very polite, happy student, who worked hard at his studies and was a pleasure to teach. Angus Corby, landscape adviser for Transport Scotland, said: “Transport Scotland is keen to work with colleagues from other agencies to help manage the potential impact that wild deer can have on trunk roads in Scotland.